She was commenting on a tweet posted by Michael Safi, the South Asia correspondent of The Guardian, in which he quoted the Union minister on the Sabarimala issue. “Oh boy. Indian govt minister on whether menstruating women should be allowed into famous temple: ‘It is plain common sense. Would you take sanitary napkins soaked in menstrual blood into a friend’s home? So why would you take them into the house of God’,” Safi posted a tweet accompanied by a media report quoting the minister. “Now India’s textiles minister says her reported comments on ‘sanitary napkins soaked in menstrual blood’ are fake reports. Promises to post video,” Safi shot back in a second tweet. The minister had not posted a video at the time of writing. 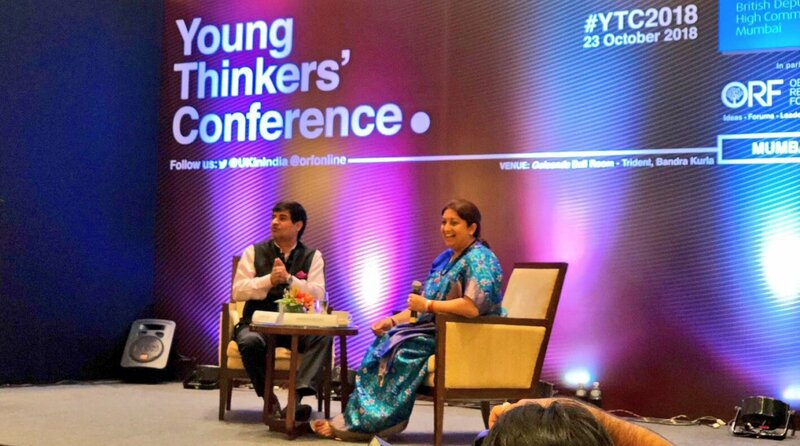 Irani triggered a storm with her remarks on the entry of women within a particular age group in the Sabarimala temple while speaking at the Young Thinkers’ Conference organised by the British Deputy High Commission and the Observer Research Foundation in Mumbai on Tuesday. Citing the example of her own multi-faith family, Irani said she is a Hindu married to a Parsi and is not allowed to enter the fire temple in Mumbai due to her religion. “When I took my newborn son to a fire temple in Andheri, I had to give him at the temple gate to my husband because I was shooed away and told ‘yaha mat khade raho‘,” she said. The minister stressed that she has the “the right to pray, but not to desecrate”. “It is plain common sense. Would you take sanitary napkins soaked in menstrual blood into a friend’s home? You will not. And do you think it is respectful to do the same thing when you walk into the house of God? So that is the difference. That is my personal opinion,” Irani said, adding that she cannot comment on the Supreme Court verdict because she is a serving cabinet minister. Despite the Supreme Court allowing the entry of women between the age group of 10-50, not a single woman of the previously banned age group was allowed to enter the temple by protesters in Kerala. The temple opened on 17 October and closed on 22 October amid major protests in and around Pamba region against the Supreme Court order. The state government, led by Chief Minister Pinarayi Vijayan, asserted that there will be no review petition and the apex court’s order will be followed. The protesters continue to argue that menstruating women are “impure” and a ban on their entry is essential to the rituals for the eternally celibate Lord Ayyappa.